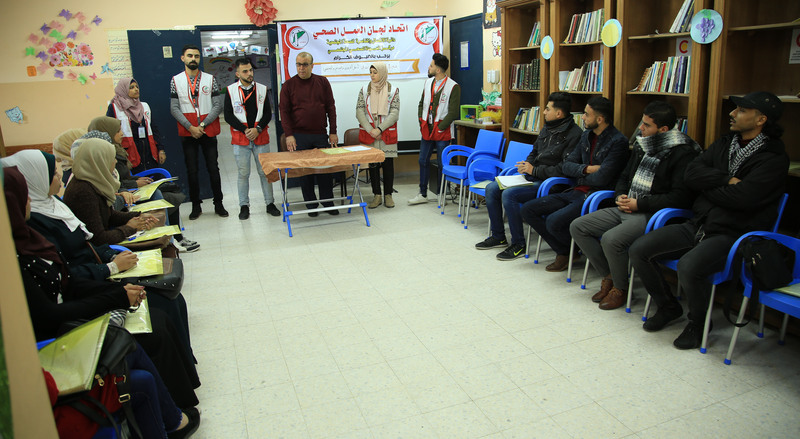 UHWC opened on Monday 6 sessions in the health, educational and social fields in its six community centers of UHWCA which spread throughout the Gaza Strip, to build the capacities of university students and graduates to enable them to communicate with their community and support them with the necessary skills to compete in the local labor market, and work to improve the health reality by working with children, adolescents, men and women. 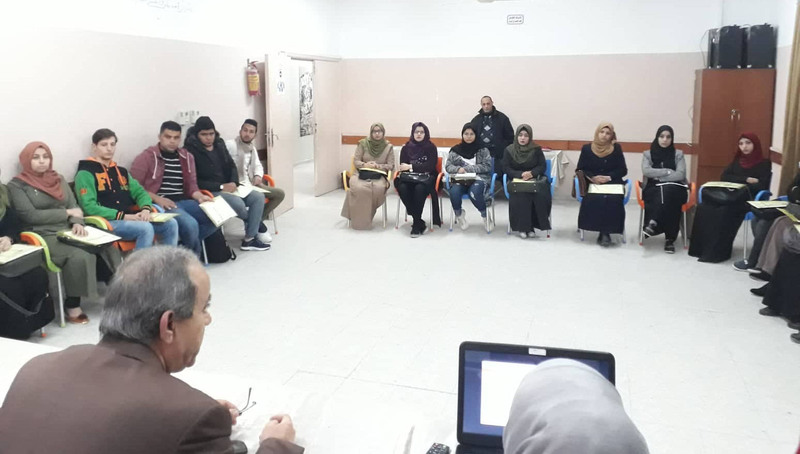 Where the training opened at the Al Quds Center in Beit Hanoun D. Marwan Al-Hawaihi, D. Abdul Hakim Al Laham opened the training at Al Assria Center in Jabalia Camp, D. Ahmed Muhanna opened the training at Al Awda hospital in Jabalia-Tel Zaatar, and Ms. Jihan Al Akluk at Al Awda specialist Center in Gaza City. 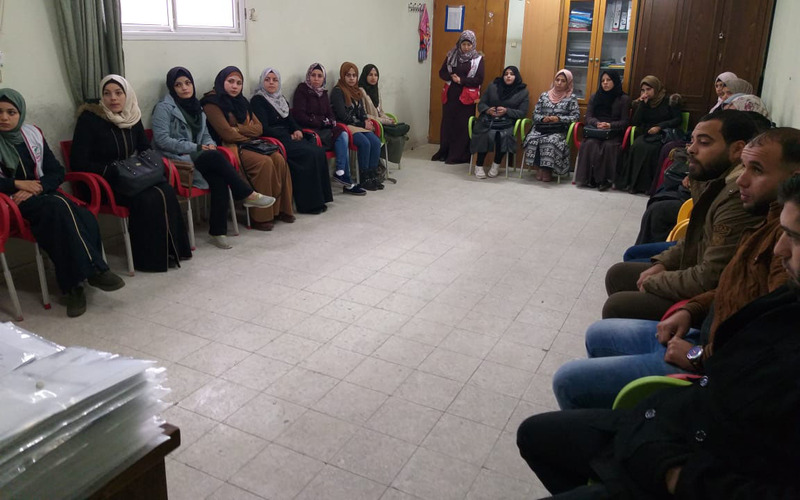 Mrs. Suhail Atanani opened the training at Al Khayria Center in Nussairat, Mrs. Raafat Al Majdalawi and Mrs. Marwan Abu Nasser opened the training at the Rachel Corrie Center in Rafah. 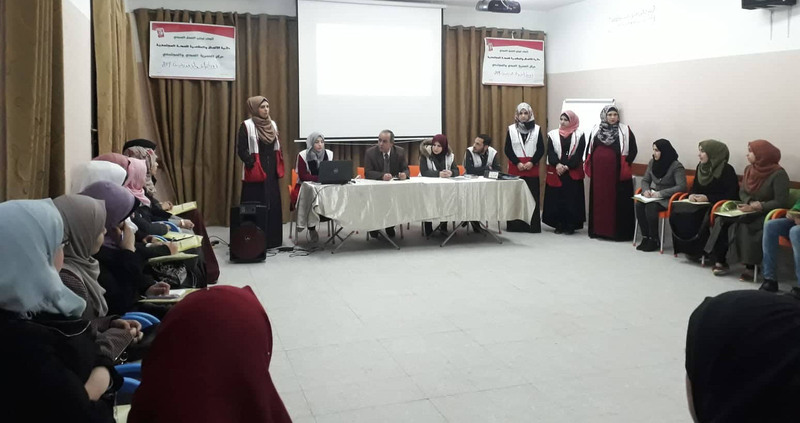 They all welcomed the participants and stressed in their speeches that this training aims at forming a nucleus of health education on scientific, knowledge and skills bases in terms of training and learning, and that it aims to empower young people and provide them with the necessary skills to compete in the labor market. 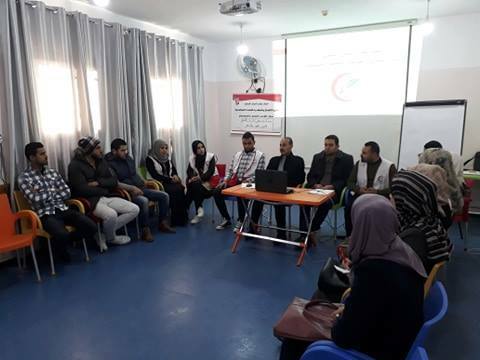 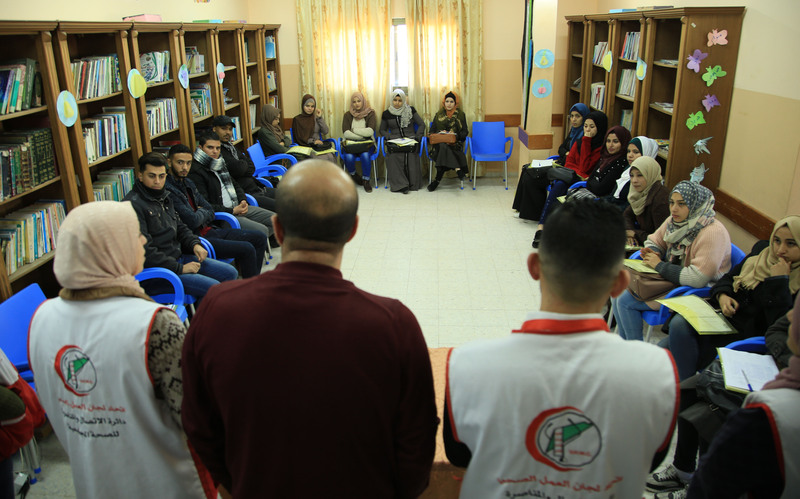 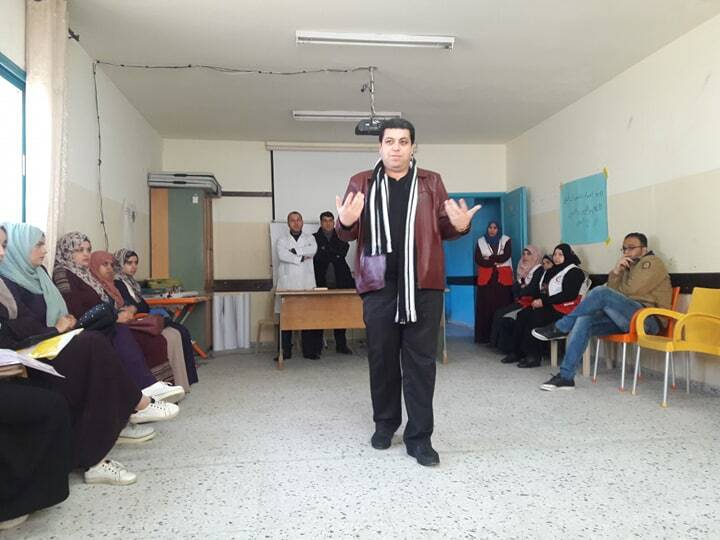 The training consists of 6 parallel training sessions designed to prepare intellectuals in the field of community educational health for 135 participants in our 6 community centers throughout the Gaza Strip. 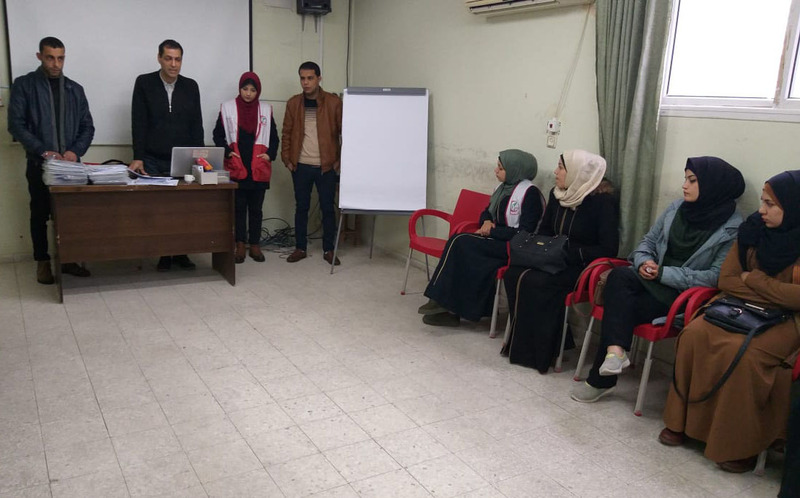 The training will include theoretical training for 40 hours, followed by 6 months of practical training with 5 technical support stops for 20 training hours. 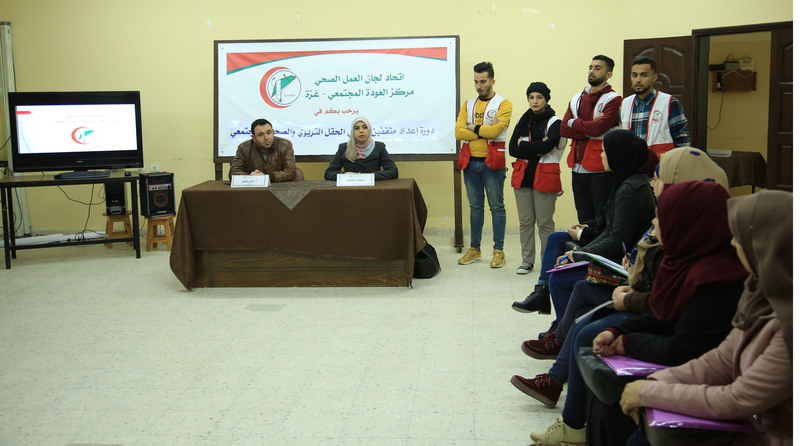 The training comes within the framework of the third strategic program “Community Health Communication and Advocacy Program”, within the framework of the social responsibility of UHWC towards the youth in contributing to building the capacities of young graduates to enable them the necessary skills and theoretical and practical knowledge to enable them to compete in the local labor market.